Put a little more positivity in your life! 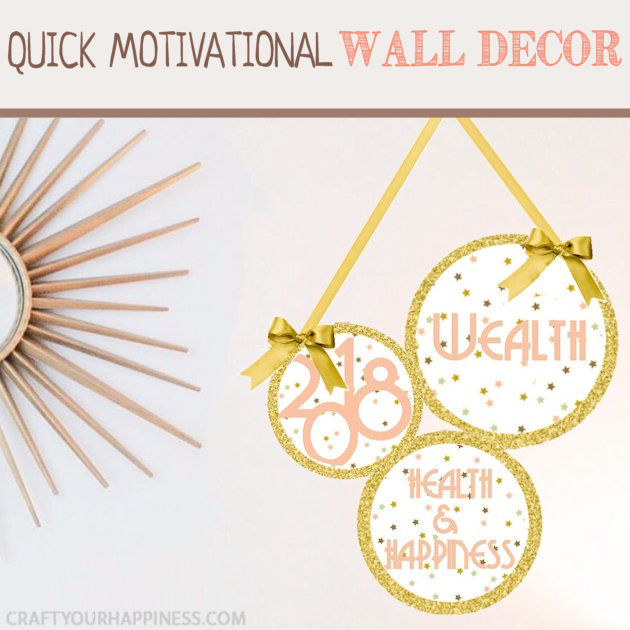 Make this quick motivational DIY wall decor hanging in 10 minutes using our patterns, printouts, posterboard and a bit of ribbon. You can never have too many positive reminders around! Feel free to make your own inserts if desired. For more ideas like this check out our quick Anti Bad Vibe Shield and our Good Vibes Necklace! Begin by printing the free downloads. 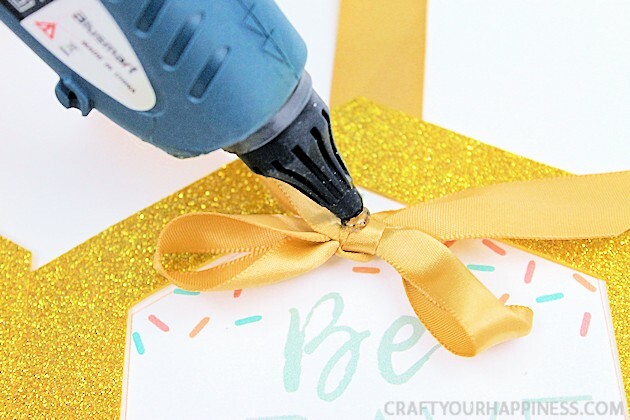 Cut out 3 polygons with the printed text in them and set aside. 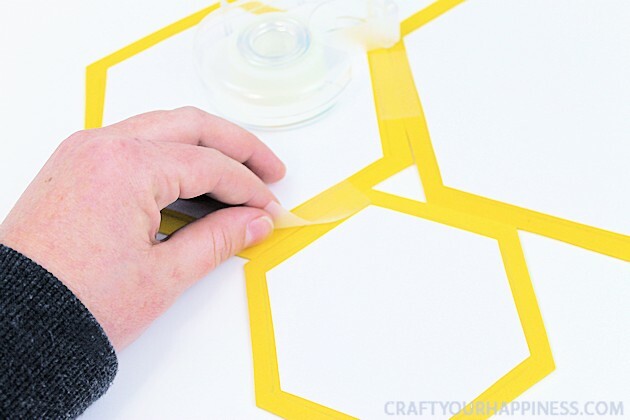 Cut out the 3 polygon stencils. Place the stencils on the back of the gold foam sheets and trace the inside and outside of the stencil. 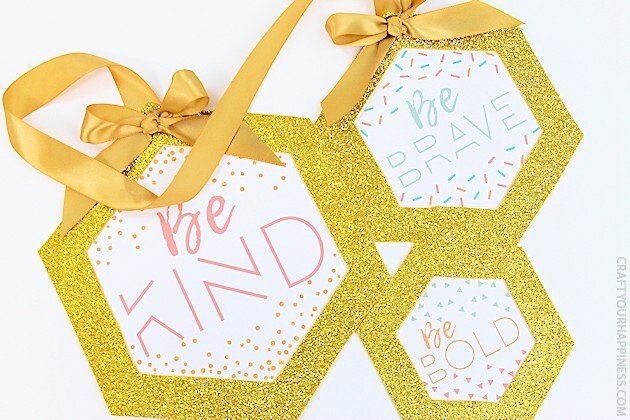 Using scissors, cut out the 3 polygon shapes, creating frames for the printables that were set aside earlier. Place the polygon frames face down on a table and align them, with edges touching, to form the layout of your choosing. Place tape along the edges to keep them together as shown. Take the 3 cutout printables and place them face down in the proper frames. Tape into place. 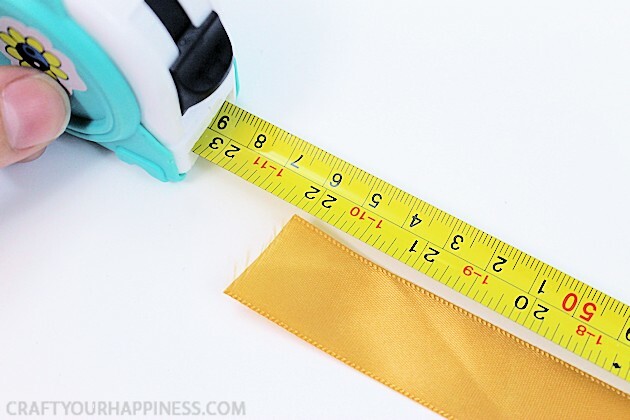 Measure and cut a 22 inch piece of gold ribbon. 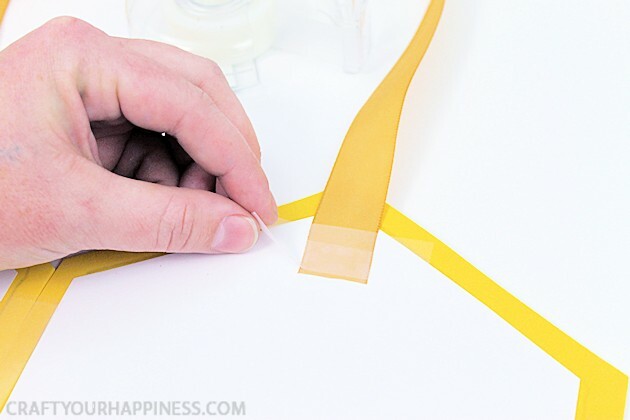 Tape the ends of the ribbon to the back of your foam pieces, creating a loop to hang your finished artwork by. Cut the remaining ribbon in half. Tie each of the pieced into a bow. 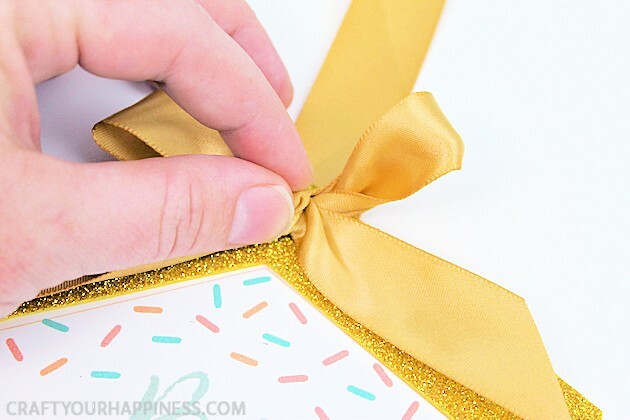 Cut off any excess ribbon that is too long for your bow. 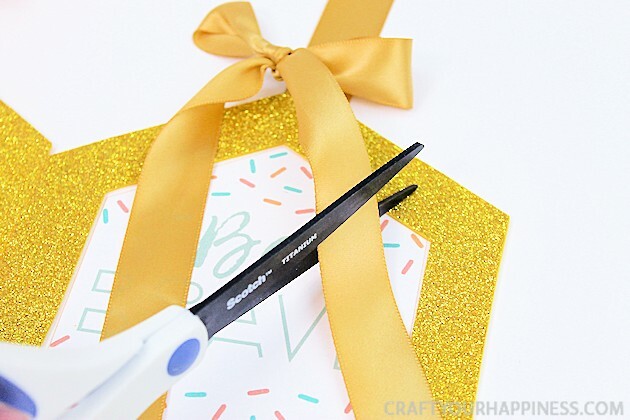 Using hot glue, attach the bow to the front of the frame where the ribbon hanger meets the frame. Repeat with the second bow. Once dry, hang your motivational art piece.